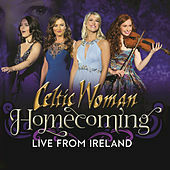 How many Irishwomen does it take to make a Celtic Woman? 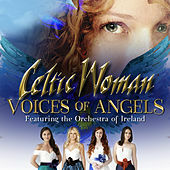 Five, apparently: four singers (Chloe Agnew, Orla Fallon, Lynn Hilary and Lisa Kelly) and one violinist (Mairead Nesbitt). The vocal group threatened to surpass even Michael "Lord of the Dance" Flatley in crossover Celtic-ness in 2005, after their debut album proved that songs like Enya's "Orinoco Flow" can yield their secrets to other singers. Supported by twinkling, harp-heavy instrumentation, the group brings a fey edge to Irish classics.